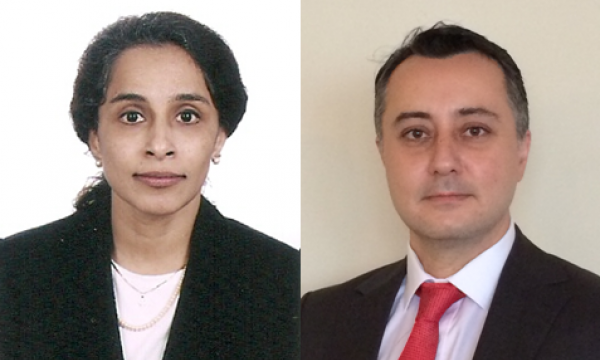 Find out more about Sujatha Venkatramanan and Burak Alper. The 2017 Asian Banking and Finance Retail Banking Forum Manila is supported by Experian, a global information services group, and representatives from its Singapore office will be flying to Manila to speak at the event on February 15. Sujatha Venkatramanan, Experian's head of consulting for APAC, is a seasoned retail banking professional for over 25 years, having managed portfolio risks across 14 countries, including the emerging European economies of Poland, Hungary, Czech, Turkey as well as the Middle East, India and Malaysia. She has managed retail portfolios through several economic crises in these markets. She worked for a large multi-national bank for 15 years, followed by independent risk advisory. She also sits on the Board of a housing finance company in India. Acknowledging that digital challengers come in many shapes and forms, Venkatramanan will deliver a presentation on "What It Takes to become a Digital Challenger." This session will acquaint the audience with “online only” banks, fintechs and alternative lenders, highlighting their varying USPs and business models. What does success look like for these players and what value does it provide customers with? Key enablers for such banks are ID authentication, digital onboarding, real-time decisioning and ongoing management of online fraud risks. Meanwhile, Burak Alper, senior consultant at Experian's global consultancy practice, will be one of the panelists that will discuss the use of robotics in AML prevention as well as KYC processes. Alper has 19 years’ of diverse experience gained through projects conducted for over 50 clients across 18 countries in Asia, Middle East, Central and Eastern Europe. His experience spans Consumer and SME portfolios of Banking, Financial Services, Cards, Leasing, Automotive Loans, Mortgage and Telecommunications sectors. To learn more about the event, click here. To register, click here.